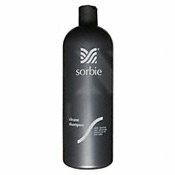 Sorbie Cleane Shampoo 1 lt.
Trevor Sorbie award winning hair styles. Sorbie shampoo is the first step in the home hair care system to maintaining Trevor Sorbie hair. Followed with Sorbie conditioner and various Trevor Sorbie products to help you hair style. Notify me of updates to Sorbie Cleane Shampoo 1 lt.